This chocolate cream cheese fudge recipe is rich and tangy, with a deep chocolate flavor. If you don’t like the bittersweet taste of dark chocolate, I recommend cutting down on the unsweetened chocolate—either use four ounces instead of six, or substitute some milk chocolate for the unsweetened. The nuts are optional, but I find they help cut the richness and add a great flavor and texture to the fudge. Hazelnuts and almonds are my preferred variation, but you can experiment with your favorite nuts. 2. Chop the chocolate into even pieces with a large knife. Place the chocolate in a microwave-safe bowl and microwave until melted, stirring after every 30 seconds to prevent overheating. 3. Place the softened cream cheese and the evaporated milk in the bowl of a large stand mixer and beat with the paddle attachment until smooth. 4. Stop the mixer, add the melted chocolate, and beat until well-mixed. Stop the mixer again and add the powdered sugar and vanilla extract, and mix until the fudge is smooth and well-combined. Stir in the nuts by hand, if you’re using them. 5. Pour the fudge into the prepared pan and spread it in an even layer. Let it set at room temperature for 2-3 hours, or in the refrigerator for 1 hour. 6. Once set, cut the fudge into small squares and serve at room temperature. Fudge may be stored in an airtight container in the refrigerator for several weeks. 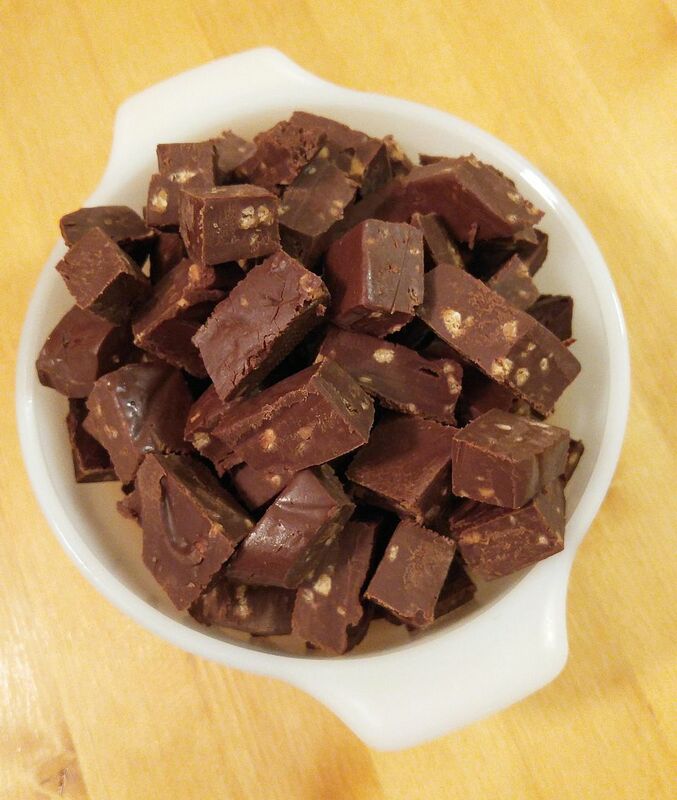 Old-Fashioned Chocolate Nut Fudge Like Grandma Made!